1. This LED Light Engine uses 24 leds on a 11 inch PCB and some snap in connectors. The pcb utilizes aluminum. It is designed to take high current and doesn't get hot. 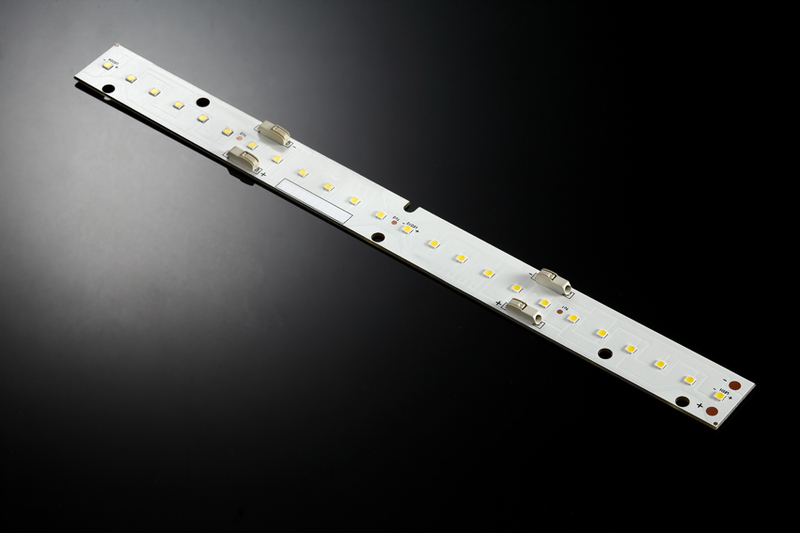 Without considering power supply loss and lens loss, the led light engine efficiency can get to 220lm/w.We only cooperate with the well-known brands to deliver high quality products. 2. We provide a great range of CCTs to suit different customers' needs. The Color temperature can be 2700k, 3500k, 4000k, 5000k and 6500k. 6500k is something which a lot of companies can't offer. The CRI can be 80, 90 or even higher. Right now Seoul has a new type of LED(SunLike) which is very close to sunlight. It is great for table light or display function. It can perfectly showcase the true color of the objects.